myTomorrows announces that Ashley Vinson, former Head of Brand Strategy at Twitter, joins the company as Chief Marketing Officer. Robert-Jan Sips, who previously led IBM's European Centers for Advanced Studies, has been appointed Chief Technology Officer. Supporting the company's marketplace vision, Ashley and Robert-Jan will lead the expansion of myTomorrows' ongoing mission to connect physicians and their patients to manufacturers of promising drugs. Ashley Vinson said: "During my three years at Twitter, I developed a passion for working with technology in its most noble role: to empower people to do and achieve things they otherwise would not be able to. myTomorrows provides a platform and infrastructure that gives physicians and patients access to information, tools, and options traditionally unavailable to the common patient. I am excited to be part of a team and company whose mission is to innovate and improve a critical area for society." Robert-Jan Sips said: "I strongly believe in a world where technology's impact should make the lives of all people better. myTomorrows gives me the opportunity to combine both technology and the ability to improve lives by creating an intelligent platform which empowers physicians and patients to understand and gain access to potential treatment options, when all regular means are exhausted. I feel honored to be part of this mission." Robert Kraal COO commented: "As myTomorrows continues to rapidly expand the product and country matrix across continents, we are investing in top talent to continue to help us improve how access to investigational drugs works today. Ashley and Robert-Jan are strong additions to our already tech-savvy team; their experience in innovative fields - from effective social communication to artificial intelligence will greatly contribute to our efforts to help physicians and their patients." 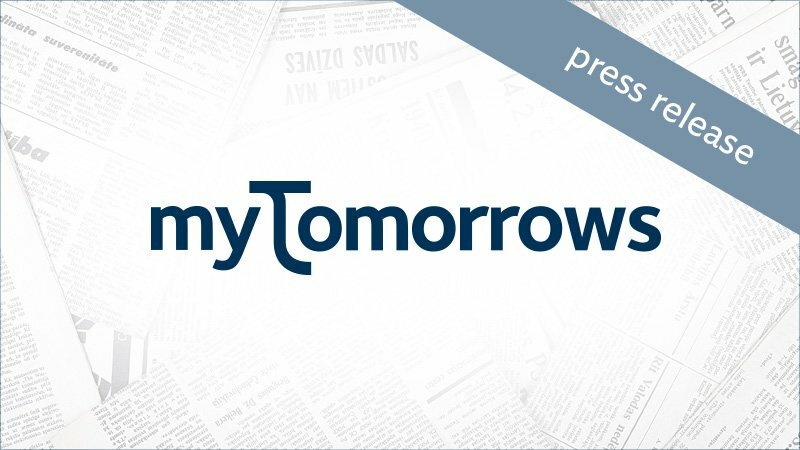 In January 2017, myTomorrows announced a €10 million growth funding round to drive global expansion, invest in talent, and extend collaborations with drug manufacturers. myTomorrows provides tools for physicians and their patients to navigate global early access programs, including 300,000+ clinical trials. Facilitating access to a growing number of investigational drugs, myTomorrows streamlines local approval and creates transparency about cost-related issues in the country of treatment.